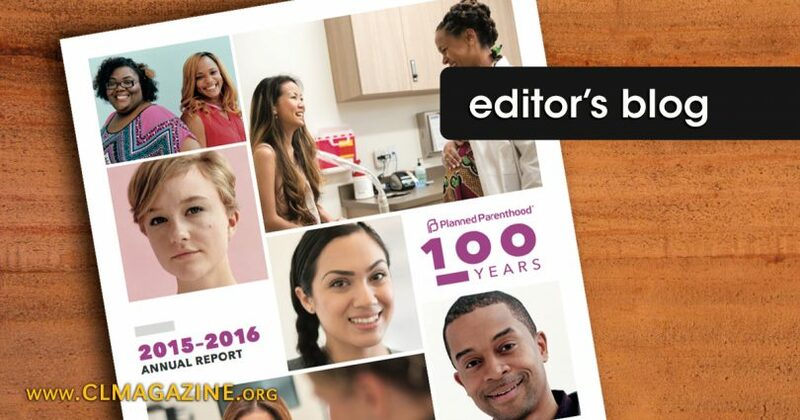 Planned Parenthood recently released its annual report for 2015-2016 (see here). Spokespersons and enthusiasts for the organization love and holdfast to their talking points regardless of the facts and evidence. The talking points tell the fairytale of a non-profit, bipartisan healthcare provider that selflessly serves the masses, especially the indigent. According to this fairytale, everything this healthcare provider does is an act of sheer goodness and necessity for the wellbeing of society, and without its existence, the nation would face a healthcare crises unlike any the world has ever seen. This is one of the main reasons why, according to this fantasy, PP must receive over $500 million of taxpayer funding every year. It is quite a story! You can hear PP spokespersons and enthusiasts tell it and retell it just about every time they open their mouths. What else do they have to talk about? They don’t want to talk about the facts that contradict their fantasy and reveal the true story. The true story is not a pretty one. PP reports having done 321,700 breast exams (manual examinations only, NOT mammograms), 293,799 PAP tests, 9,419 [non-descriptive] prenatal services, 2,889 adoption referrals…and 328,348 abortions! Comparing PP’s reports from the last five years shows that the number of abortions have been going up while many of the organization’s other “services” have been going down (see here). Drawing from PP’s own reporting and the countless scandals and investigations in which the nation’s largest abortion chain is currently drowning, the facts tell the story of an insatiably money-hungry organization that deals in depravity, dishonesty, and death.